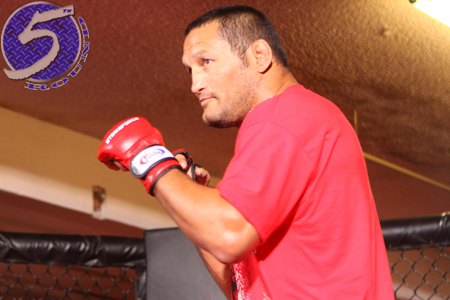 After a night of freebie MMA action, UFC president Dana White awarded Mauricio “Shogun” Rua and Godofredo Pepey each an additional $50,000 for their special performances Sunday night at “UFC Fight Night: Shogun vs. Henderson II.” Dan Henderson (pictured) double dipped and scored two bonus checks. Henderson and Shogun took home “Fight of the Night” honors for their thrilling shootout. Shogun appeared to be well on his way to avenging his 2011 unanimous decision defeat to Henderson until the 43-year-old staged an unexpected rally by TKO’ing Shogun in the third frame. Henderson also pocketed an extra $50,0000 for “Performance of the Night.” Pepey earned the same bonus check for knocking out Noad Lahat. UFC Night Night 38 took place inside Ginasio Nelio Dias in Natal, Brazil.